Active People - This theme is about understanding the people within the borough and recognising that this is essential for shaping the services that the Council provides. By considering the personal circumstances of individuals and recognising how their needs change throughout life, the Council and its partners will be able to support residents to lead an active and healthy lifestyle. 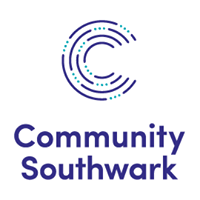 Active Places - The focus in this theme is ensuring that Southwark’s streets, housing areas, open spaces, and sports facilities are of the best standard possible and receive ongoing development, which is key to encouraging physical activity in the environment. Improving access to the community facilities, utilising more venues and spaces, and ensuring activity is designed into new development will maximise opportunities for physical activity and sport across the borough. Active Communities - The last theme is about enabling effective local networks of organisations, clubs and businesses to provide opportunities for residents to become active across the whole borough. Maximising available resources and collaborating with various groups will help engage and build communities that increase participation in physical activity. The Council is keen to hear what you think about the draft strategy and whether you support the vision and agree with the aims and initial actions that have been set out to address the priorities. Join us on 13th February.